Fundraiser by Michael Boshans : Keep FOAM Open! FOAM is a community event space, late night coffee shop, bar, and music venue in Saint Louis, MO and has been a cornerstone of the Cherokee Street business and arts community for nearly 10 years. I started working at FOAM in its first year of operation as a barista, bartender, and booker/promoter. In 2014, when the former owner was about to close the doors, I purchased the business with a personal loan. I felt deeply invested in the business’ role as an independent space - accessible to community members, performers, and musicians locally and nationally. In the 5 years since purchasing FOAM, we have grown what once was a failing business into an accessible space, hosting events nearly every night. I purchased FOAM in 2014 with zero capital. For the first few years I worked full time in all roles necessary, front and back of house operations, with the help of my family and community members. Over a year ago I secured 2 other jobs to pay for personal living expenses in an effort to free up business funds for long needed space improvements and to pay off the debt the business had incurred over the last five years. Currently, we have 6 paid employees. My partner, Caitlin, and I manage the business as a whole including day to day operations. We love FOAM and the community we have found here, but we are currently having financial difficulties. Due to a decrease in sales, I am carrying more personal debt for the business and for over a year, Caitlin and I have been working without pay. FOAM has an unique business model. We take no cut of “door money” and 100% of ticket/door sales goes to the performers and sound staff. FOAM only makes a profit off of bar sales. Over the years we’ve experienced the normal ups and downs that many businesses often go through. There have been a few times where I have had to take out small personal loans to fund payroll or monthly operating costs, particularly during summer months when our business is often slower. These loans, while significantly paid down at this point, are placing pressure on our monthly break-even today. -- As a small business we operate on a very tight budget. --The 2018 summer months’ sales were 16% below average. While this is expected during summer months when most bands aren’t touring through the Midwest, it was unfortunately followed by a 22% drop in September. --We’ve spent the last 3 months recovering, but just as we began feeling positively grounded again, January 2019 revenue is currently 70% below average. Over the last 30 days I have had to utilize personal funds generated from my 2 other jobs just to keep FOAM open. Looking ahead, our liquor license expires in June. This license costs thousands of dollars to renew. At this point, we won’t have that money to stay open. The future of FOAM feels devastatingly uncertain. These funds, if raised, will help us level set and reevaluate how to proceed for the next 5 months and beyond in a financially healthier state. 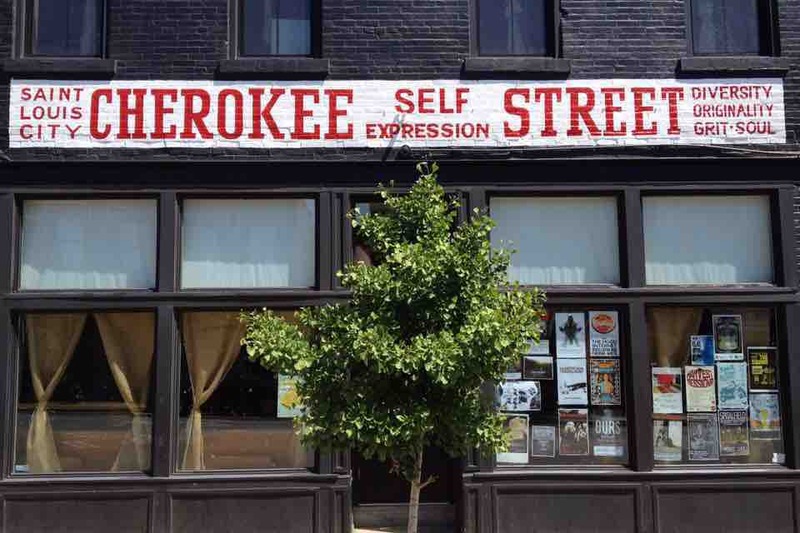 The Cherokee Street neighborhood continues to be a strong community with an incredible number of people investing their personal time, money, and effort to develop a thriving business district. However, 2018 brought the closure of many of our neighboring businesses. These closures have negatively impacted our business and the financial health of our community as a whole. Additionally, the building FOAM calls home has long been awaiting significant repairs which have affected the efficiency of our utility systems and caused energy bills over the last 20 months to skyrocket. Because we do not take a cut from the performers FOAM typically hosts, we rely solely on bar sales to generate revenue. This can be a huge gamble. For example, in 2018 we hosted at least 3 sold out events, unfortunately, on two of those nights, the bar ring didn’t equate to our daily “break even,’ because ticket sales don’t always equate to bar sales. In 2019 we are working with more local media outlets than ever before, as well as collaborating with other venues to generate more bookings. We also hired a part time promoter to ensure our monthly events will reach a broader audience in St. Louis City and County. Many other venues are able to significantly offset their production costs with room rental fees or by taking larger cuts from door money, but this would make FOAM inaccessible to most of the innovative and artistically potent, independent artists we’ve become notorious for hosting. Earlier in 2018 we considered expanding our daytime snack offerings (profit is typically higher on food than it is on coffee), but we really don’t have the space or capacity to do that. Subsequently, we chose to reduce our hours and focus on what we do best...open in the evenings, provide coffee to those who need it later in the day, and host events with a full bar. Foam is a communal gathering space. The programming varies night to night. We host every genre of music, theatrical performances, art showcases, community fundraisers and meetings, book readings and spoken word series, open mic nights and karaoke, national/international and local touring musicians alike. Our patrons love FOAM, the communal and accessible nature of the space, and the wide range of independent music and performances that we are able to host. People who discover us are very excited by the energy FOAM creates. We’ve heard countless stories from musicians, now internationally touring, that FOAM was one of the first places that ever granted them a show. We’ve heard innumerable people recount performances they’ve attended that deeply affected them or changed their life. We have thousands of followers online, have hundreds of positive reviews, and are nationally recognized as a DIY independent music space. We are working hard to make some changes while retaining that mission. Because of these testimonies and because we believe accessible performance spaces are vitally important, we want to ensure FOAM continues to be a pillar of our community. I am often thanked for taking over this (often magical) gathering space from local patrons and nationally touring musicians… many of whom go on to play festivals as large as Coachella or Pitchfork. The funds will allow us to keep FOAM up and running. We are confident that if we can pay off high interest debt it will free up some monthly cash flow to buffer a potentially low sales week in the future. These funds will also assist us to catch up on overdue invoices and stay open the rest of the January. Looking forward, our bookings currently being finalized for February and March are projected to bring a lot of people through our doors. Historically, April and May are higher sales months as well. We believe in our mission of providing accessible space for creativity to unfold and believe that FOAM provides something truly unique to the Saint Louis City landscape. I’ve been working very hard for the last 9 years to keep the doors open. Any help you can provide at this point is deeply appreciated.